Baltimore Researchers Invited to Attend Premiere BioResearch Product Faire™ Event on 5/4/15! Are you a life science researcher in Baltimore interested in any of the following? Connecting with biotech industry professionals to get answers to you research technology questions? 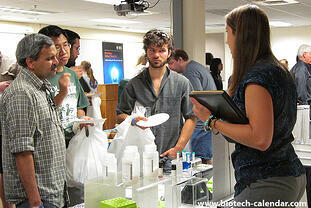 Meeting other researchers from across campus to explore research concepts and get new ideas? Indulging in a FREE lunch of pizza and lemonade? Having the opportunity to collect FREE swag items from different companies? Being entered into a drawing to win a FREE Kindle Fire? 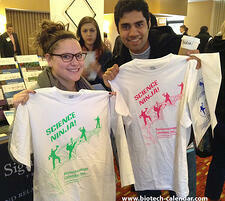 Receiving a FREE #ScienceNinja t-shirt to wear around campus to show your science pride? If you answered "yes" to any of these questions, mark your calendars and get ready for the 1st Annual BioResearch Product Faire™ Event happening at the University of Maryland, Baltimore campus on Monday May 4, 2015 from 11:00 a.m. - 1:30 p.m! 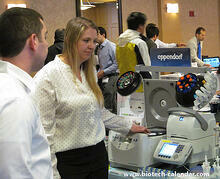 Attendees at past BioResearch Product Faire™ Events discover new lab supplies and technologies for their labs. 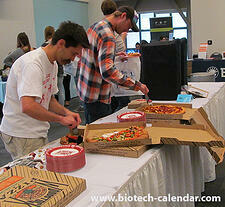 What is a BioResearch Product Faire™ Event? A BioResearch Product Faire™ Event is a chance for researchers, PIs, lab managers, professors, post docs, grad students, purchasing agents, and other lab staff to meet face-to-face with different lab supply companies to learn about new tools and technologies that are available. At the UMD Baltimore BioResearch Product Faire™ Event on 5/4/15, researchers from all departments and buildings related to life sciences will be able to learn about new products from nearly 30 different laboratory supply companies. All researchers who attend will have the opportunity to meet face-to-face with sales reps in a professional and friendly environment. Instead of traveling door-to-door and interrupting your work, sales reps from different companies will be in one room, making it convenient for you to speak with them on your own time. Save lab time in the future by meeting with numerous lab uppliers in one place, instead of meeting with them individually in your lab, while you're trying to work. Since researchers from all across campus are invited to the event, you will be able to network with hundreds of researchers from dozens of departments and research buildings on campus to learn about other research being conducted at your university. You can also connect with industry professionals with access to decades of life science knowledge and education, and establish new professional contacts for your future. SAVE THE DATE: Monday May 4, 2015 from 11:00 a.m. - 1:30 p.m.
Keep an eye out for posters in your building with more information, including the event location. To learn more about this upcoming event, please visit the link below. You can also pre-register to save yourself time at the door the day of the show. There are still vendor spaces available for interested lab supply companies looking to market products to Baltimore area researchers. To learn more about participating in this event, please visit this link. 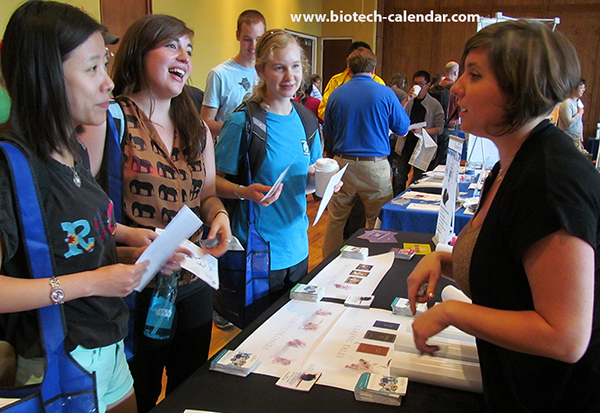 Biotechnology Calendar, Inc. has been producing product faire events at more than 50 institutions around the country for more than 20 years and is a well-established and respected event planning and marketing company. We are excited to bring our event to the University of Maryland, Baltimore campus for the 1st Annual BioResearch Product Faire™ Event in 2015.